We work hand-in-hand with our users to make sure that Ex Libris solutions meet the growing needs of the industry. Join one of the active independent user groups that support our products. The International Group of Ex Libris Users (IGeLU) is the collective voice and advocate for users of Ex Libris products. We represent over 400 member institutions representing more than 1,600 libraries and archives in 39 countries around the world, and we work with over 30 independent National and Regional User Groups. ELUNA is the international user community for Ex Libris customers in North America. 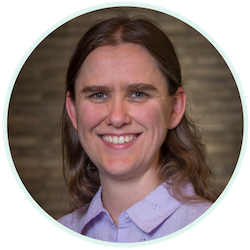 ELUNA is a major voice and advocate for users of Ex Libris products, representing over 1,300 academic, public, government, and corporate libraries and library consortia in Canada, the Caribbean Islands, Central America, Mexico, the United States, and beyond. 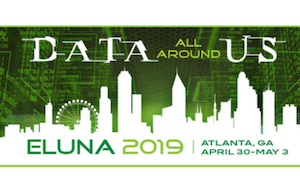 Join over a thousand library colleagues in Atlanta, Georgia for the ELUNA 2019 Annual Meeting – Data All Around Us! Grants for ELUNA and IGeLU are awarded on an annual basis to first-time attendees, in memory of Christine Moulen.